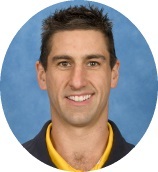 Mr Justin Condely is our dynamic Acting Assistant School Principal at Swan Hill Primary School. Mr Condely has had a diverse teaching background within schools, including teaching experience in the United Kingdom for four years. At Swan Hill Primary School, he has worked in various roles for over ten years; gaining valuable experience as a classroom teacher, Year-Level Leader, Teaching and Learning Coach and Sub-School Leader. He has a passion for students’ wellbeing and has a strong skill-set for dealing with behaviour management; focusing on building positive relationships with all stakeholders! Mr Condely loves getting out into the playground and strives to give student voice within our school, particularly with lunchtime activities and our Games Room. Within our local community, Mr Condely continues his strong interest in working with all students to achieve success. He enjoys volunteering his time on a monthly basis, leading Story-time at Swan Hill Regional Library. With a Major in Physical Education, he also loves to be active and is a great role model for encouraging all students to be fit and healthy. His volunteering extends to his sporting club, Swan Hill Football and Netball Club, where he has worked as the AFL Auskick Co-ordinator for several years. We are proud to have such a dedicated teacher working at our school. Mr Condely always conducts himself with a high-level of professionalism and confidently addresses issues in a flexible and approachable way. Mr Condely hopes to continue to improve teaching and learning of all students in his role as Acting Assistant School Principal and is well supported by the leadership team around him. With his open-door policy, Mr Condely is ready to welcome you!